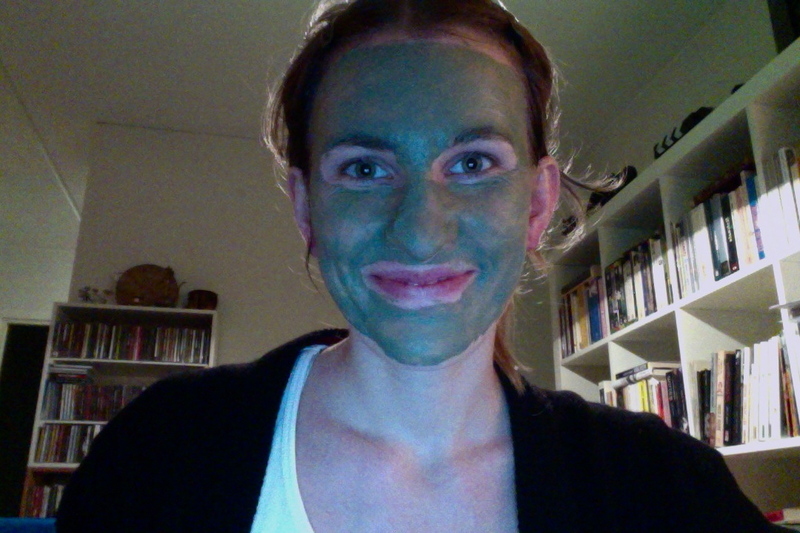 I want to talk a bit more about this green clay because it's actually quite an amazing substance (perhaps not aesthetically, at least not on my face). The real name for it is Bentonite or Montmorillonite clay, and it is formed from the weathering of volcanic ash. It occurs naturally in many different parts of the world, most notably in the US. Perhaps the most important medicinal property of green clay is its ability to effectively kill bacteria, something that has been shown through various studies and experiments. It contains massive amounts of trace minerals necessary for our health, commonly up to 75 different minerals can be listed. The most common way of using this clay is probably what I did, to cover your skin with it or take a clay bath, and almost every spa provides such services. This method has been used throughout history to treat various illnesses such as skin infections, acne, ulcers, or arthritis, or to tone the body and reduce fat. However, external use is not the only way to benefit from the healing properties of clay, and it is also used internally as an extremely effective natural detox method. This is basically due to the negative charge of the particles in the clay which attract other, positively charged particles such as toxins, bacteria, metals and pesticides. These bad particles adhere to the clay particles, which then transport the toxins out of the body. There are different ways of consuming bentonite clay, but normally ca 1 tablespoon is mixed in a glass of water and drunk daily on an empty stomach. In my opinion, considering all the toxins and radiation we consume and inhale daily and mostly without noticing, clay is a perfect way of daily healing. Without some sort of detox, our bodies are unable to get rid of all the bad stuff at a rate that would compare to the rate with which it is exposed to them. And the best part of clay is that it's really cheap and can be found in most health food/natural/organic shops everywhere.